Oh god! 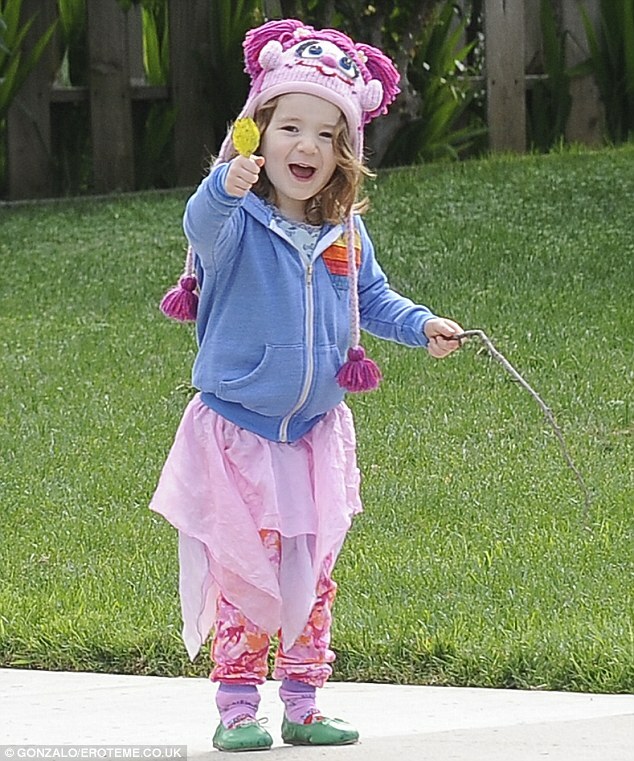 The OG Willow...Ha! This awesome vid has been making the rounds. Most of the below is taken from the original Buffy unaired pilot. It was created back in the day to promote the then upcoming series and revealed the activities of certain Slayers in the United States between 1845 and Buffy. A loving homage/review of Doctor Horrible? Yes, please! Recently, friend and Channel Awesome producer, Paw Dugan, decided it was time to bring something... Horrible to his review series, Music Movies. The result is a super fun video that I was fortunate enough to play a very small part in making. Guest appearances also from the Nostalgia Chick's nerd girl, Nella, and everyone's favorite maestro of video game parodies, brentalfloss. So sit back, relax, laugh maniacally to yourself, and enjoy! 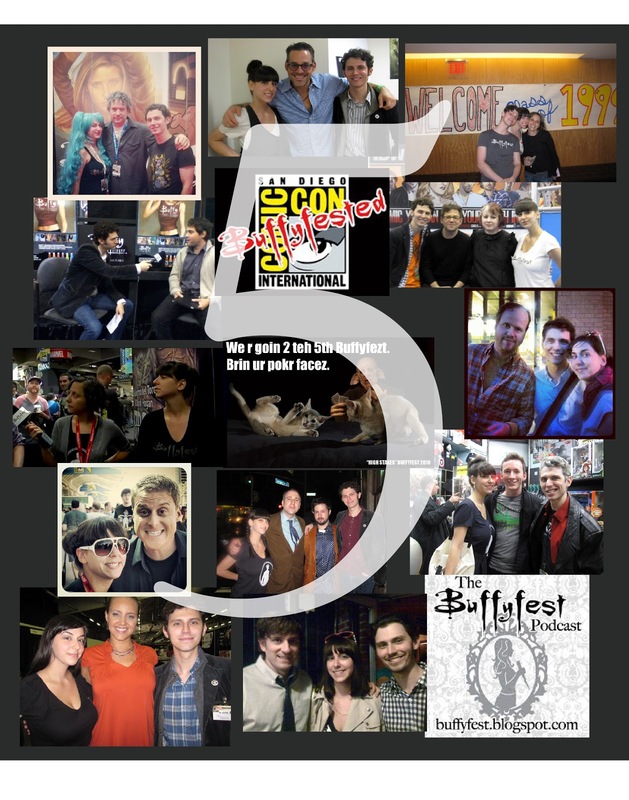 Happy 5 year Anniversary, Buffyfest! Hard to believe that it was 5 years ago this week that our little band of buggered started this here Buffyfest blog. It's gone through some changes over time, but it's still a part of who we are and still reflects the heart of others like us, this fandom we belong to. Before you go scratching your heads, please let me explain. You see, I was having a conversation with my fellow bloggers about the direction Angel's character has taken in Season 8 and the discussion ended with this quote by me: "Angel has become the cheese doodle that fell into the couch cushion, could have been enjoyed, but destroyed by the asses that now sit upon him." It's a simple analogy really and comes with a kind of light heartedness that can only derive from (hyperbolic) loss and pain. I was a huge Angel fan. I loved everything about this character - story, conflicts, hotness. Even when Angel was at his worst, he was at his best to me. It was the hope that kept me hanging on. I liked that no matter what line was crossed, Angel the Vampire was ready to dust off his duster and try again. It was life in a nutshell to me - the idea that we all have a chance to do better the next time. Angel made a lot of mistakes, sometimes for the greater good and sometimes for his own selfish reasons, just like we do. Yet, he strived to be a better man from the moment he first met Buffy in an alleyway to the moment he faced off with hoards of demons in yet another alleyway. Please take notice of the past tense here. That's because I'm not sure how to feel about Angel right now. Trust me, it feels like horrible betrayal as I write this. I'm an Angel fan - I'm supposed to stick by his side, right? Well, for some reason, I can't quite stay on board with the character this time. Do I feel sympathy for him? Sure. Do I think he got himself wrapped up in yet another fate vs. free will mess? You betcha. But, there's a difference here...I'm not sure I care anymore. Maybe it has to do with Giles' death or maybe it's something else that will come to me later, but all I know is I've just become apathetic and this my friends is worse than hatred. So, here I am. Instead of eating a delicious, bright orange, finger-staining cheese doodle, I'm stuck looking for itty-bitty crumbs hidden under the sofa cushion. Sigh. Discount Code for Buffy "Sunnydale Lumber" Tshirt! Ever wonder who supplies the all of the much needed wood used for Buffy's stakes, crucifixes, and of course Xander's many construction jobs? 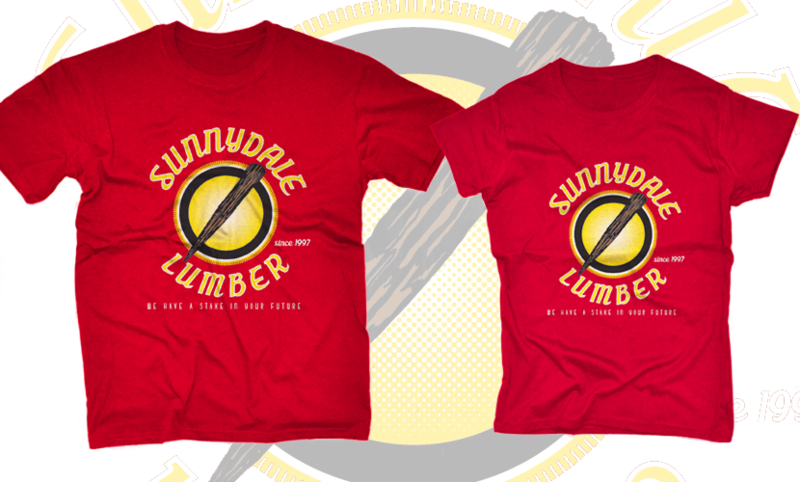 Well this "Sunnydale Lumber" shirt from www.othertees.com gives us an answer, at last. Designed by NerdsterDesign, the shirt comes in two colors: Red and Charcoal. It's available until November 8th for the wallet friendly price of $13USD (8GBP/9.5EUR if you're across the pond) and we're happy to announce that Other Tees has extended a further $1 off discount just for Buffyfest readers! Maybe get an early start for the Whedonites on your Holiday shopping list? Simply use code buffyfest at checkout for $1 off! Alyson Hannigan and Family Ring in the New Year!! Happy 2013 from Buffyfest! Hope all of our dear readers had an amazing Holiday season.